The soufflé looks amazing! He's very talented and his recipes are great. I'm glad it turned out so well for you. Another winner! Love your version! it looks good enough to eat through this screen. I've never tried one of his recipes! These look beyond incredible ..... yumm!! I tried to find souffle dishes the other day and everywhere was either out or didn't carry them! Yummy...these look like a little dish of ooey-gooey lemony goodness! Souffles always make me a little anxious, but maybe I should try to make one since you make it look so easy! I love goat cheese, those souffles must have been delicious! I need to read more David Lebovitz! Gorgeous...I am literally speechless! Looks so so delicious! I LOVE those sugared cups!! My mom just gave me that same little microplane, don't you just love it too? These little souffles looks so tempting, the cheese is a wonderful addition. Thanks! Veronica - these little souffles look amazing. 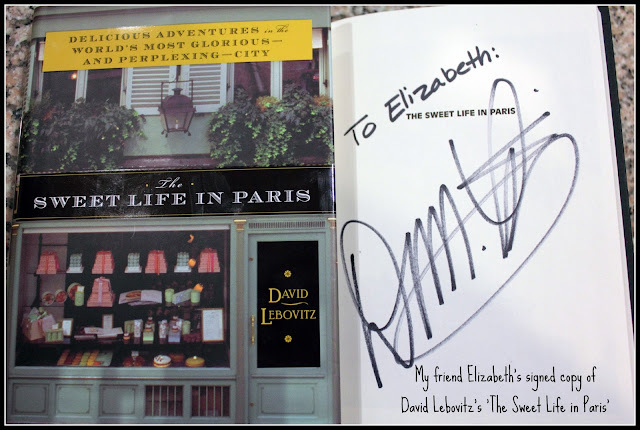 I am a huge fan of David Lebovitz, and you will be so happy now that you have discovered his genius. One of my favourite DL recipes is this frozen lemon yoghurt http://www.latimes.com/features/food/la-fo-icecreamrec1a-2009apr01,0,3309165.story and I also use his basic vanilla ice cream as a base for almost all my ice creams. Wow! This looks great! Kind of random, but I love your lemon zester. This looks amazing! I have just found a local (in Andalucia) producer of goats ricotta and was thinking about a dessert to make with it. Like maybe a honey cheesecake but this looks perfect, thank you!! Beautiful photos. Fancy a taste right now! These souffles are so beautiful! I'm inspired to try one with goat cheese. They look absolutely perfect. Thanks for pointing me your direction - You have a beautiful blog! this is delicious. goat cheese should be everywhere...definitely in souffles. mmm they are beautiful. i would love to check out that cookbook! Amazing recipe and beautiful photos and post- love it! Oh man I have tried several of his recipes before, and they were always fabulous! His ice creams are particularly to die for, but most of the recipes in Sweet Life have me drooling. You should def get the book and read it because it will make you hungry but also make you laugh out loud (esp if you have ever been to paris!) Your friend was SO lucky to meet him and get the signed book! Looks wonderful! 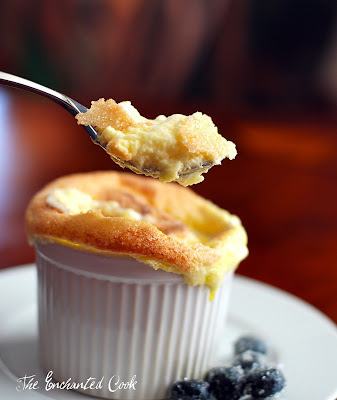 I have yet to try to make a souffle, but now I so need to!! I love goat cheese! My husband is coming home from an Air Force deployment this week. We are goat cheese fanatics! 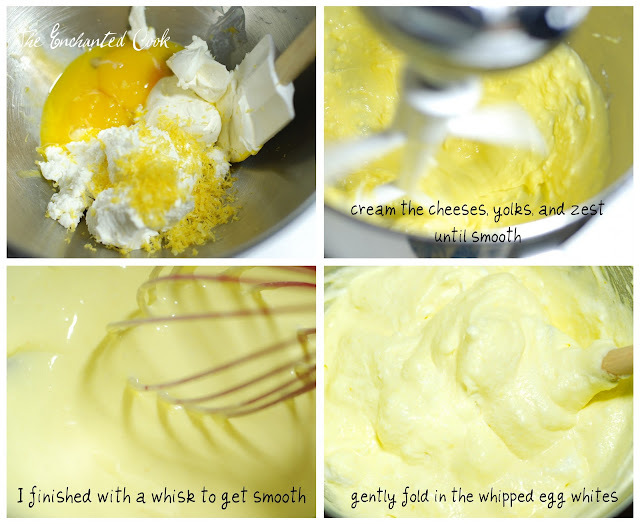 I've never thought of making a souffle out of this creamy delicious cheese, thanks! These look fantastic! David Lebovitz is awesome. I have made quite a few of his ice creams, I will have to try some of this other desserts too! Beautiful job! this sounds so yummy! you did an amazing job:) thanks for sharing this with us. The pictures are amazing.. inspired me to try to make it..
i love goat cheese but never thought of using it to make souffle. yours looks so creamy and delicious. Ok! Yum yum and YUM!!!! I'm sold.